Welcome to my new blog: Gates & Glamours. Actually, “revised blog” might be a more accurate description. I noticed that most of my posts on RetroRoleplaying: The Blog the past few years have been announcing new games I’m working on, games I’ve completed, games on sale over at DriveThruRPG, etc. In the early years, the majority of my posts were about old school gaming. The interesting posts were getting buried under tons of announcements so I decided to split the blog in two. The original RetroRoleplaying: The Blog will be for announcements about my games and Gates & Glamours will host my posts about old school gaming. I chose the name because gates to other worlds have always been an important part of my campaign worlds and “glamour” is a synonym for “magic spells”. Or at least that’s what I tell myself. I suspect the real reason has something to do with the fact that when my sister and I were very young we used to drive my mother crazy by shouting “GATEWAY GLAMOUR” in a silly sing-songy voice. I don’t really remember why we did this, but I think it had something to do with a show on TV where someone went through a “gateway to glamour” and got a makeover. Don’t look at me that way. I was five or six and my sister was probably three. We were little monsters at that age. I’ve copied 400 plus posts from RetroRoleplaying: The Blog here and cleaned them up some (e.g. removing deleted comments, removing long out of date plugs for various RetroRoleplaying Cancer Fund Drives, etc.). These posts will eventually be removed from RetroRoleplaying: The Blog. Most of the posts about my games (Microlite7x, Microlite81, etc.) have been left on the old blog and not moved here. Posts about my games which talk about game design issues or talk about rules or draft classes are the exception, some have been moved here — especially ones that generated a lot of discussion. I intend to use this blog to actually talk about old school gaming as I used to back when started blogging in February 2008. I doubt I will be a very prolific poster as being my wife’s 24/7 caregiver and working or my campaigns and games takes up most of my time. I will, however, try to have at least four somewhat weighty posts each month and a few short takes as well. No promises, however. Moving old posts from the RetroRoleplaying blog was not without a couple of minor problems. First, random comments were duplicated (or triplicated in some cases). I believe I have caught and removed all of the duplicate comments, but a few may remain. Second, some of the links to other posts on this blog may not work. I’m trying to find and fix them, but finding them is a type of proofreading and 93% of the population is better at proofreading than I am — at least according to tests I took in high school. If you find one, feel free to message me with its location so I can fix it. 1) You can join the OSR.SPACE community, log in, and comment. 2) You can choose to not bother with an account and just comment. For the moment, at least, there are no annoying captchas to struggle with if you do not create an account as I’m using a service that has a record for stopping 99.9% of spambots in their tracks. So far, it is working great at preventing spambots from registering OSR.SPACE accounts. My fingers crossed that it continues to work as captchas that actually work have become annoying hard for humans to solve. The article below points out that getting a computer to play Dungeons & dungeons and pass a human player might be a better test of artificial intelligence than games like Go or Chess. I agree that playing Dungeons & Dragons (or any tabletop RPG) requires showing a much different time of intelligence than playing Chess or Go — games with strict rules and a very limited set of actions one can take on their turn. Everyone had died – not that you’d know it, from how they were laughing about their poor choices and bad rolls of the dice. As a social anthropologist, I study how people understand artificial intelligence (AI) and our efforts towards attaining it; I’m also a life-long fan of Dungeons and Dragons (D&D), the inventive fantasy roleplaying game. During a recent quest, when I was playing an elf ranger, the trainee paladin (or holy knight) acted according to his noble character, and announced our presence at the mouth of a dragon’s lair. The results were disastrous. But while success in D&D means ‘beating the bad guy’, the game is also a creative sandbox, where failure can count as collective triumph so long as you tell a great tale. What does this have to do with AI? In computer science, games are frequently used as a benchmark for an algorithm’s ‘intelligence’. The late Robert Wilensky, a professor at the University of California, Berkeley and a leading figure in AI, offered one reason why this might be. Computer scientists ‘looked around at who the smartest people were, and they were themselves, of course’, he told the authors of Compulsive Technology: Computers as Culture (1985). ‘They were all essentially mathematicians by training, and mathematicians do two things – they prove theorems and play chess. And they said, hey, if it proves a theorem or plays chess, it must be smart.’ No surprise that demonstrations of AI’s ‘smarts’ have focussed on the artificial player’s prowess. Yet the games that get chosen – like Go, the main battlefield for Google DeepMind’s algorithms in recent years – tend to be tightly bounded, with set objectives and clear paths to victory or defeat. These experiences have none of the open-ended collaboration of D&D. Which got me thinking: do we need a new test for intelligence, where the goal is not simply about success, but storytelling? What would it mean for an AI to ‘pass’ as human in a game of D&D? Instead of the Turing test, perhaps we need an elf ranger test? Of course, this is just a playful thought experiment, but it does highlight the flaws in certain models of intelligence. First, it reveals how intelligence has to work across a variety of environments. D&D participants can inhabit many characters in many games, and the individual player can ‘switch’ between roles (the fighter, the thief, the healer). Meanwhile, AI researchers know that it’s super difficult to get a well-trained algorithm to apply its insights in even slightly different domains – something that we humans manage surprisingly well. Second, D&D reminds us that intelligence is embodied. In computer games, the bodily aspect of the experience might range from pressing buttons on a controller in order to move an icon or avatar (a ping-pong paddle; a spaceship; an anthropomorphic, eternally hungry, yellow sphere), to more recent and immersive experiences involving virtual-reality goggles and haptic gloves. Even without these add-ons, games can still produce biological responses associated with stress and fear (if you’ve ever played Alien: Isolation you’ll understand). In the original D&D, the players encounter the game while sitting around a table together, feeling the story and its impact. Recent research in cognitive science suggests that bodily interactions are crucial to how we grasp more abstract mental concepts. But we give minimal attention to the embodiment of artificial agents, and how that might affect the way they learn and process information. Finally, intelligence is social. AI algorithms typically learn though multiple rounds of competition, in which successful strategies get reinforced with rewards. True, it appears that humans also evolved to learn through repetition, reward and reinforcement. But there’s an important collaborative dimension to human intelligence. In the 1930s, the psychologist Lev Vygotsky identified the interaction of an expert and a novice as an example of what became called ‘scaffolded’ learning, where the teacher demonstrates and then supports the learner in acquiring a new skill. In unbounded games, this cooperation is channelled through narrative. Games of It among small children can evolve from win/lose into attacks by terrible monsters, before shifting again to more complex narratives that explain why the monsters are attacking, who is the hero, and what they can do and why – narratives that aren’t always logical or even internally compatible. An AI that could engage in social storytelling is doubtless on a surer, more multifunctional footing than one that plays chess; and there’s no guarantee that chess is even a step on the road to attaining intelligence of this sort. In some ways, this failure to look at roleplaying as a technical hurdle for intelligence is strange. 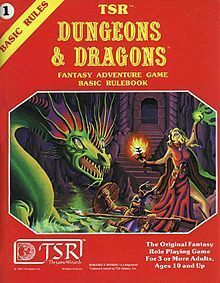 D&D was a key cultural touchstone for technologists in the 1980s and the inspiration for many early text-based computer games, as Katie Hafner and Matthew Lyon point out in Where Wizards Stay up Late: The Origins of the Internet (1996). Even today, AI researchers who play games in their free time often mention D&D specifically. So instead of beating adversaries in games, we might learn more about intelligence if we tried to teach artificial agents to play together as we do: as paladins and elf rangers. This article was originally published at Aeon and has been republished under its Creative Commons license. Experts have dug out similar war passages in Yongqing, Xiong county, and Bazhou. The ancient war passages are about 65 kilometers from east to west, 25 kilometers from north to south, which extend through 1,600 square kilometers. When the border between the Song Dynasty and the Liao Dynasty went as far west as Rongcheng county and Xushui county, it is thought that many ancient war passages existed in that area. How far the ancient war passages extended eastwards from Yongqing is still unknown. 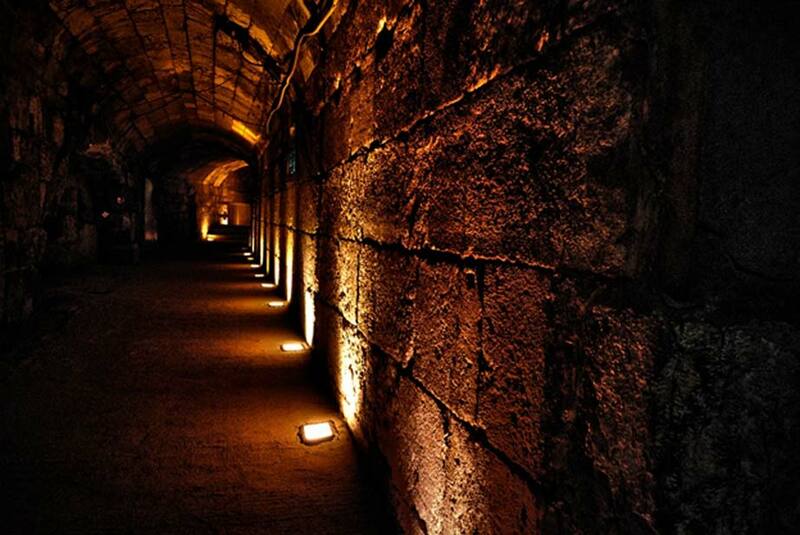 These passages were apparently built around 1000 AD. Given the size of this tunnel complex and their apparent usage, perhaps megadungeons aren’t as an unrealistic idea as even those of us who enjoy them have assumed they were. 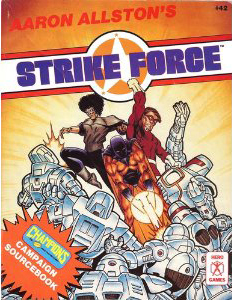 I found my copy of Aaron Allston’s Strike Force in a box a few weeks ago. I hadn’t read it since in came out in 1988 so I set it aside to re-read. Reading it reminded of how much I enjoyed running Champions games back in the early 1980s. I read Aaron’s review of the first edition of Champions in The Space Gamer and had to have a copy. Fortunately, I had a couple of friends who were selling comics at the Eisenhauer Road Flea Market (a few blocks from my house) who went up to a distributor in Austin every Friday to get the weeks comics. I asked them to see if their distributor had a copy of Champions and get one for me if they did. I was sick with something flu-like that Friday, but I dragged myself down to their stall to await their arrival. They came back with 56 page rulebook, sold it to me and sent me home cause they did not want whatever I had. While I had some issues with the rules, I was soon running Champions games in addition to my ongoing Empire of Arn (a homebrew fantasy game). I bought everything for 1st edition, then for second edition, and for third Edition — although by then Marvel Superheroes (FASERIP) had become by standard superhero game as Champions was going more and more complex. I remember purchasing the fourth edition of Champions — a 350 page hardback book — and thinking I could use it as a weapon. I read the book, decided Champions had become far more detailed and complex than I was interested in, put the book on the shelf and I don’t think I ever played or ran Champions again. By that point in my gaming “career” I was coming to the conclusion that more complex and detailed made most RPGs worse instead of better — even my own Empire of Arn homebrew seemed more complicated than it really needed to be and I started rolling it back toward a B/X D&D complexity level. I kept all my Champions stuff (of course) but other than my third edition rules books, everything was in boxes. The next Sunday, Paul brought his sixth edition books so I (and others) could look at them. My eyes nearly popped out of my head when I saw that there were three books need to play — Hero System Rules Volume I, Hero System Rules Volume II and Champions 6e and they totaled just short of 1100 pages. My comment was that I could see why he never found a game as no one who wasn’t already a Hero system expert would be likely to be willing to even try to play in a game — let alone run a game. I could tell there was a lot of interest in a superhero game (and they really wanted it to be Champions, unfortunately), so I offered to run a monthly session of Champions 3rd edition — under 150 pages of rules. Given that I was the only person with a copy of those rules, that was a non-starter. Side Note: This is one of the reasons I prefer games where players don’t really need a copy ofd the rules to play. Middle of last week I got an email from Paul. He had checked RPGNow to see if Hero Games was selling the third edition rules. They were not. However, they now sell something called Champions Complete. This supposedly has all the rules (i.e., it’s a complete game, not an addon that needs the 700+ page Hero System 6e rules books) in about 250 pages. Does anyone have any comments on Champions Complete 6e? It’s still over 100 pages longer than Champions 3e, but I might be able to live with it — although I’d really rather run some like FASERIP as it is a far less annoying system than the Hero System (IMHO). I’ve had an Amazon Echo Dot for over a year now. If fact, we now have three because they are much easier for my wife (with her MS-related hand issues) to use than a normal timer, alarm clock, etc. I’ve never found the games available as skills to be all that much fun to play — at least more than a time or two. Today, however, I discovered Six Swords — an attempt to have Alexa run a D&D-like game. It’s not based on modern D&D — it’s “based on OSRIC, an open source version of first Edition Dungeons and Dragons ™” according to the Six Swords skill description. I haven’t had a lot of time to play with this, but I can already say it is the most interesting Alexa skill game I’ve tried yet. It’s far from perfect, but it seems like it will be a fun away to spend some time. It also appears to be under active development with new releases with bug fixes and new features every few weeks. Here’s the full description of the Six Swords skill. It’s not going to replace a human DM anytime soon, but it’s the best game I’ve seen for Alexa-powered devices. Engage in classic fantasy adventure. Build a team of up to six companions to explore exotic cities, high castles, and deep dungeons. But be careful, the further off the path you get the more dangerous it becomes. The system used is based on OSRIC, an open source version of first Edition Dungeons and Dragons ™. North, South, East, West: move around the game map. Enter: enter into a town, castle or dungeon. Other versions: 6 Swords Lite and 6 Swords Kids. If you have some type of Amazon Echo or another device with Alexa, you might want to give this a try.